Axiom drilling activity on Isabel Nickel Project. Nickel mining is finally set to commence on San Jorge Island in Solomon Islands’ Isabel Province. An Australian company, Axiom, this week announced that mining will begin in December. It said the mine’s first nickel ore shipment was expected to be made in the first quarter of next year. Axiom, which was granted a lease by the Solomons government last month, said it was close to finalising finance for its project. According to the company, it is in “advanced stages of negotiations with a number of parties” who are potential partners in the mine. On the back of Wednesday’s announcement, shares in Axiom Mining rose sharply on the Australian stock exchange. Isabel is considered to possess one of the largest clusters of nickel laterite deposits in the Pacific. Hard on the heels of Independence Group’s decision to tap into the surge in the price of nickel by raising funds via a sharemarket placement, minnow Axiom Mining has followed suit as it prepares to launch production at the end of the year. 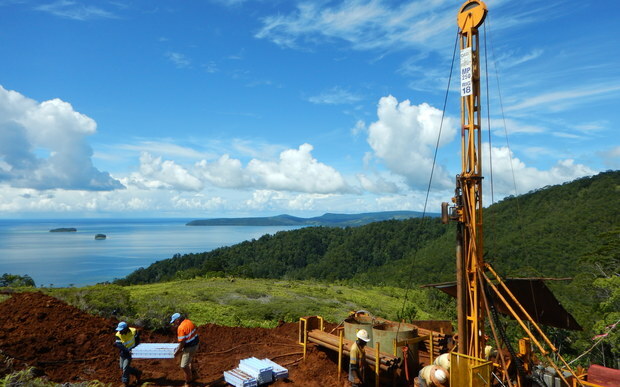 Axiom has its foot on ready to mine acreage in the Solomon Islands which it hopes can take advantage of the supply interruption for laterite nickel shipped to China. 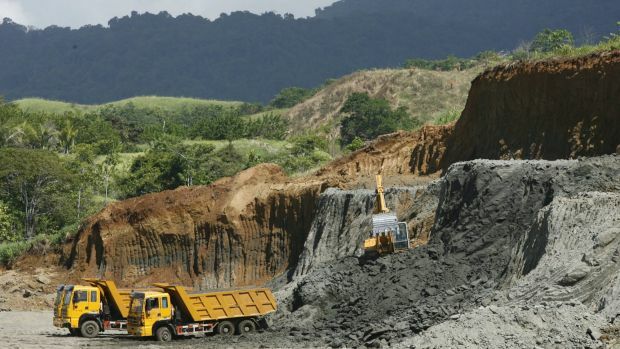 Following the recent Philippine presidential elections, there has been a halt to production at several nickel mines there due to environmental concerns which has pushed the nickel price higher. The supply disruption in the Philippines follows the move a couple of years ago by Indonesia to halt all exports of nickel ore, as New Caledonia, too, has had a long-standing ban on exporting to China. Each of these three countries are large producers of laterite nickel which is sought after by Chinese processors, and between them they control an estimated 80 per cent of the lateritic nickel ore globally, and virtually all of the material available in Asia. Axiom is re-applying for tenements held on the island of Santa Isabel following lengthy litigation with Sumitomo Metal Mining, the large Japanese integrated metals group. 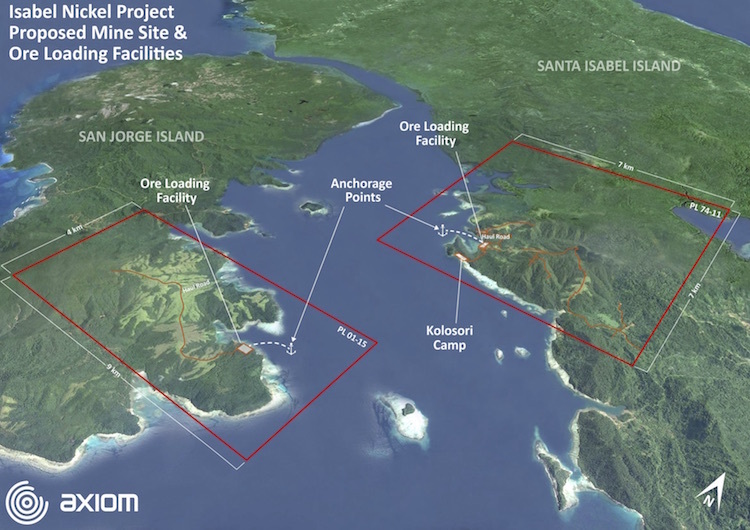 As it awaits the outcome of this process, which should become clear within the next few months, it is moving ahead with plans to develop acreage held on the adjacent island of San Jorge, targeting an initial 1 million tonne a year output of ore, rising to 2 million tonnes a year by 2018. The reserves are shallow, at less than 20 metres with no geological faulting making mining a straightforward proposition. Construction and commissioning costs for an operation of this size is estimated at $US25 million ($33 million) while off-take agreements are also in place. To get the ball rolling, Axiom sought to raise an initial $3 million late last week but strong investor demand saw this lifted to $5 million, issuing shares at 28¢ with an attached option. Initially it planned to outlay $2 million on a drilling program with $1 million needed for working capital, although it is likely to seek to accelerate its anticipated start to production. “Indonesia and New Caledonia are not shipping to China,” Axiom chief executive Mr Ryan Mount said, and there is a question mark over future export volumes from the Philippines. “We are the only listed nickel laterite company on the ASX.